What goes well with grunge music, hipster culture, and a healthy micro brew? Skin art, of course. Seattle is chalk-full of top-of-the-line artists (charging top-of-the-line prices…..if you can get scheduled). In fact, there are so many littering the area, that it’s overwhelming to sift through the 5-star google recommended parlors. There’s no need for a uncle Jim-bob basement tattoo in Seattle. I’ve found that some of the artists have a 4 month waiting list, and can charge upwards of $200/hour for quality work. (Tip not included!) There are so many good artists, it was actually difficult to create a list of Seattle’s Top Tattoo artists! Robert Eggbert’s Japanese-style tattoos are phenomenal. HIs crisp line work and bright colors are simply unmatched. There is almost always a 3-month-long waiting list, so you know the work is on point. 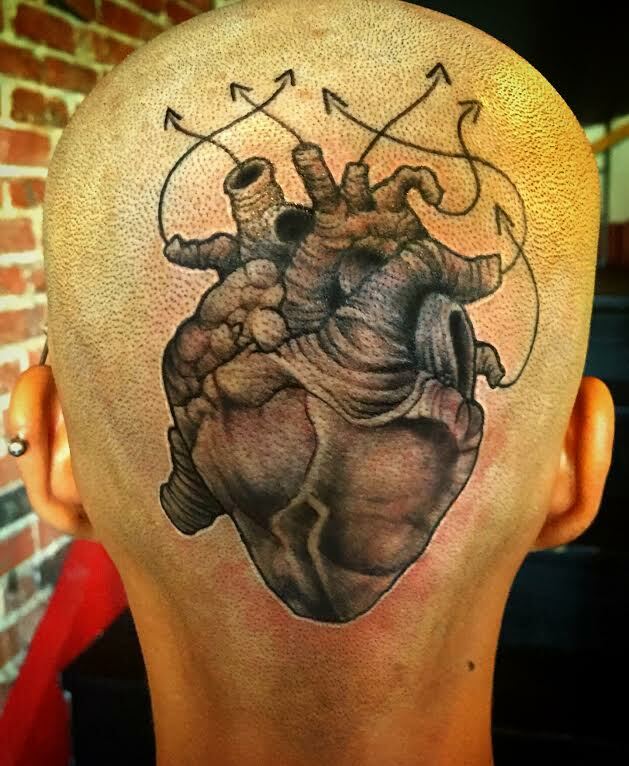 Hidden hand tattoo parlor hosts 7 amazing artists, that are always in high demand. I stopped by for a consultation and was shocked to hear that the earliest my chosen artist could take me was 4 months away, unless there was a cancellation. I’ve seen fantastic work elsewhere, but the sheer volume of clientele speaks for itself at Hidden Hand Tattoo. I highly recommend looking at April and Jeff Cornell’s books, as well as Mike & Asher. The salty smells of Pho permeate the studio during lunch hour, overpowering the sterile smells of alcohol wipes and sprays. The windows steam up with the heat of the boiling soup, preventing the outside world from catching sight of the colorful walls packed with images of previous tattoo clients. 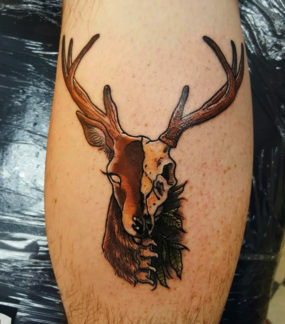 At a minimum of $80 per tattoo for any size, this studio is attempts to dissuade the first cliche tat every 18-year-old tries to get’. You won’t find these artists wasting their time on a silly finger tattoo. My favorite artists, Kyle, Chad and Thomas, create fantastic, unique designs that surpass everyone in the near vicinity. Though truthfully not my favorite tattoo parlor in Seattle, I can’t just not mention Slave to the Needle. I have never had a good visit here….I’ve entered on multiple occasions with friends looking to get work done, and once on my own behalf, and have never felt comfortable with the persons I spoke with. I think that because they speak with such a high volume of consultation clients that never complete the work discussed, artists at Slave to the Needle have a bit of a “Seattle Freeze” attitude about them. (I could also have just had the misfortune of finding everyone in terrible moods as well!) I hope that others might have a different experience here, however, I’m willing to bet that other studios eclipse the value of this studio. Dustin Bogue and Aaron Egging are both killin’ the tattoo game in Seattle. Check out Dustin Bogue on instagram. Aaron is an award-winning tattoo artist (Best Traditional Artist!). His work is out of this world, but you have to book at least a month in advance to get in his schedule. 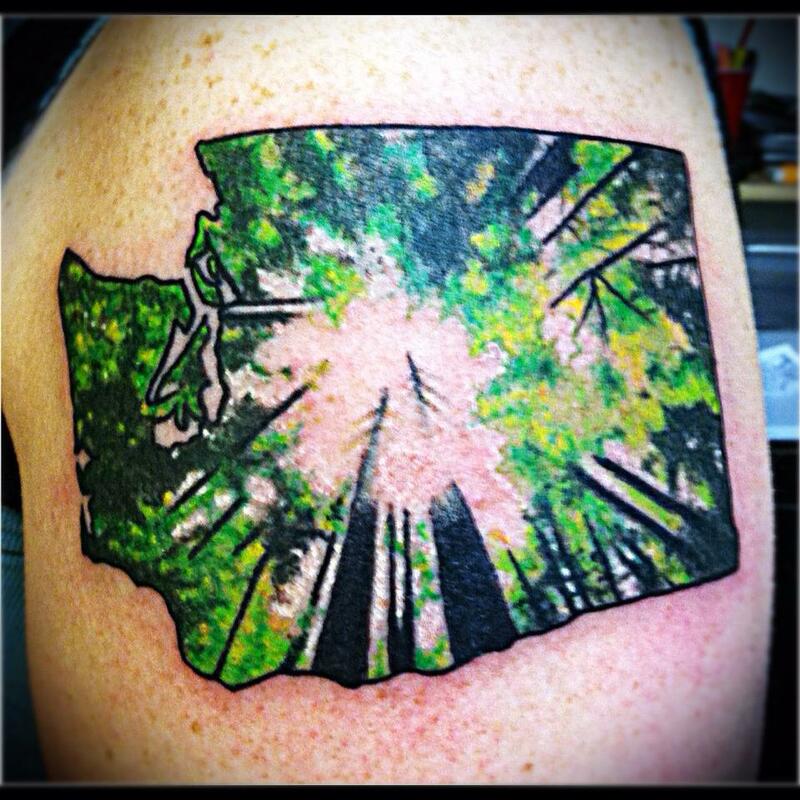 What's your favorite tattoo studio in Seattle? Favorite artist? Lemme know!